The Microsoft Dynamics CRM team is proud to announce the availability of The Microsoft Dynamics CRM Developer Toolkit. 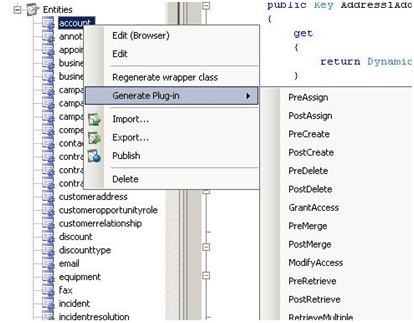 This Visual Studio 2008 plug-in radically expands on the Visual Studio tools introduced in the Microsoft Dynamics CRM 4.0 SDK. The toolkit enables developers and system customizers to take advantage of the tools and knowledge that they already have when engaging in custom development with Microsoft Dynamics CRM 4.0. With the toolkit, implementers and managers of Microsoft Dynamics CRM solutions can manage schema, engage in form design, update security roles and generate wrapper classes for Microsoft Dynamics CRM. These capabilities will enhance the productivity of organizations, particularly those building and deploying XRM solutions – line of business applications that use the Microsoft Dynamics CRM platform. The Developer Toolkit makes it easy for teams of developers to customize, extend, and maintain an on-premise CRM solution, all from within an integrated Visual Studio 2008 environment. When building a solution with Microsoft Dynamics CRM developers typically design and iterate on an entity model, create custom security roles for accessing those entities and then may generate .Net assemblies to extend the business logic. Once the solution has been developed customizations need to be deployed to test and production environments. With the Microsoft Dynamics CRM Developer Toolkit developers and IT professionals can manage all of those tasks from within Visual Studio 2008. 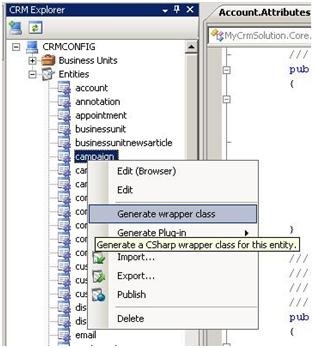 The list of entities is dynamically available from the CRM Explorer within Visual Studio 2008. The Toolkit allows developers and system customizers to create new entities and update existing entities from within the CRM Explorer experience. A key Toolkit feature is the ability to auto-generate wrapper classes for entities. This exposes the CRM entities and their corresponding attributes as classes and properties respectively to enable development of code to interact with the entities. 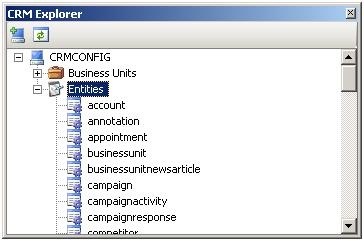 The CRM Explorer enumerates the available Plug-ins for an entity and generates the code necessary to jumpstart the plug-in development process. Build scripts provided with the Toolkit simplify the process of building and deploying a CRM solution. They prepare the environment, obtain and publish the latest customizations, perform code analysis, register CRM Plug-ins, deploy the solution and execute Unit Test cases. 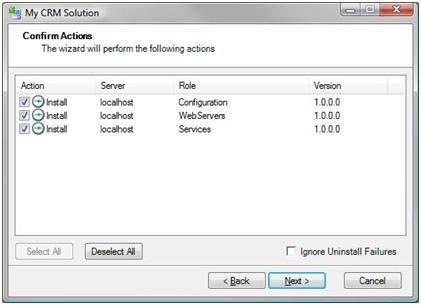 The deployment tool assists in deployment and maintenance of Windows installer packages across multiple environments. The Microsoft Dynamics CRM Developer Toolkit is available free of charge from the MSDN Code Galleries at http://code.msdn.microsoft.com/E2DevTkt . The Microsoft Dynamics CRM team would like to encourage Toolkit users to submit comments and suggestions for the Toolkit. To initiate or participate in Toolkit discussions, go to the MSDN Code Gallery site and click on the Discussions tab at http://code.msdn.microsoft.com/E2DevTkt/Thread/List.aspx .